Do something sweet for your significant other this Valentine’s Day! Getting away for a romantic weekend in Niagara’s Wine Country over Valentine’s Day? 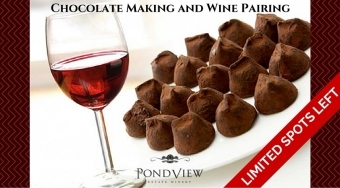 Join us this Valentine’s Day for a Chocolate Making and Wine Pairing Workshop! You’ll spend the afternoon in our cozy cellar room, right amongst our barrels – creating the perfect ambiance for a romantic day! From 2:00pm until 4:00pm on Sunday, February the 14th, you will be wrapped up in chocolate and wine! Our friends from Chocolate Tales will be with us for the afternoon, leading you through all things chocolate. The chocolatier will take you through a brief history of chocolate, chocolate moulding and tempering, truffle making, and lava cake decorating. When all of the chocolate is finished being made, one of our Wine Specialists will walk you through the perfect pairings for the chocolate you just made. You will get to taste our wines with the chocolate – showcasing the depths of our wine when tasted with decadent chocolates. 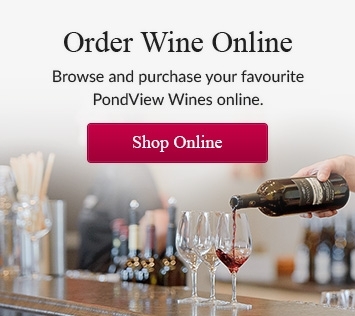 Finish off the afternoon by getting to bring all of your creations home in a chocolate box and purchasing your favourite bottle of wine to enjoy over dinner or while finishing your box of chocolates at home!